For a more complete guide about Cartagena, check out my post 25 Incredible Things To Do In Cartagena. If you are looking for accommodation in the city, read my post Where To Stay In Cartagena – The Best Neighborhoods And Places To Stay. Colombia is huge, and it would require several months of travelling to discover its many beauties. However, one of the places to visit in Colombia, for however long one may be staying, is Cartagena, which is considered – and rightly so – the most beautiful city in the country. It is a perfect Caribbean vacation spot, it can be easily reached through regular flights and long distance buses. It is ideal for romantic city breaks: picture cobbled alleys, balconies covered in bouganvillea, beautiful facades, street art, music and lovely restaurants. 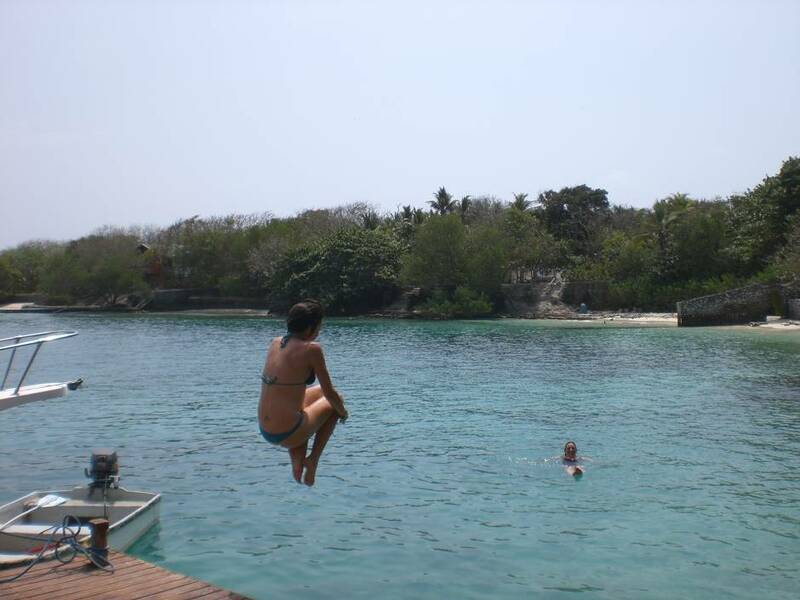 It is great for nature lovers and beach bums too: it is a good starting point to visit the beautiful Islas del Rosario, where I could escape to whenever I felt like relaxing on the beach or snorkeling on the coral reef. There are so many things to do in Cartagena, that it is no surprise Cartagena is one of the main tourist attractions in Colombia. Having this in mind, Cartagena has always been on my list of places to visit in Colombia, and in fact, it was my first stop in South America after having spent three full months in Central America. Despite my original plan to reach Colombia in the most adventurous way (sailing San Blas, in Panama, to cross the border via sea), I ended up having to be a not so adventure traveler and catch a flight from Panama City through Bogotà – read here to find out what happened. As soon as I landed, I knew there would be so many things to do in Cartagena. I am all about first impressions, even when it comes to places I visit: the minute I stepped off the plane and walked into the city, I fell in love with Cartagena, and it will be a long lasting affair I think. I knew I would soon find out what to do in Cartagena. Right on the Caribbean, it enjoys a hot climate – if anything, too hot! – year round (December to April are the driest months), but the breeze that starts blowing in the afternoon cools the city a bit, making it more pleasant to walk around. It was entirely built by the Spaniards in such a way that the wind coming from the sea could circulate more easily, to bring relief from the heat. And relief I had to seek – just to give you an idea, imagine that despite being used to it, I was so exhausted from the humid heat that I would spend my day walking in search of a cool spot, drinking freshly pressed juice, and do one of the must things to do in Cartagena: sit in a tiny alley and wait for the breeze to come. The old town of Cartagena is one of the tourist attractions of Colombia, in particular the inner walled city with the historical districts of El Centro and San Diego, with many beautiful squares, churches, museums and other places of interest. 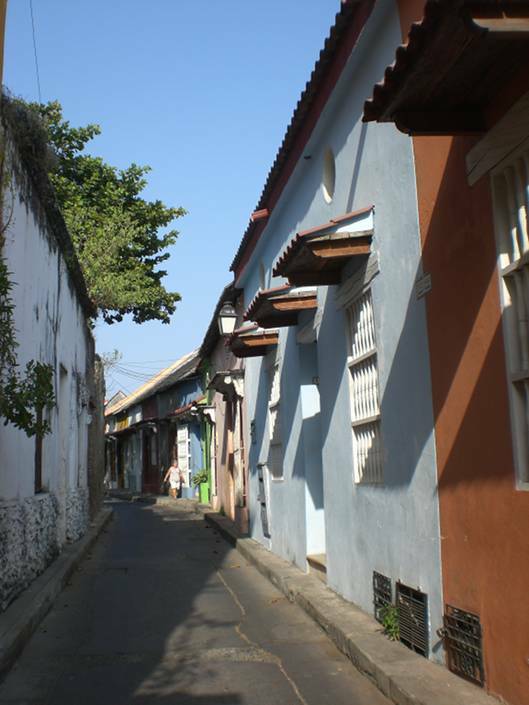 Getsemaní, the outer walled town, may not be as well preserved as the rest of the historic centre, but it is full of character and it is undergoing constant renovation. This is also where I managed to experience a bit of action and meet the locals. Quieter during the hot day hours, it gets really lively when the breeze starts blowing. 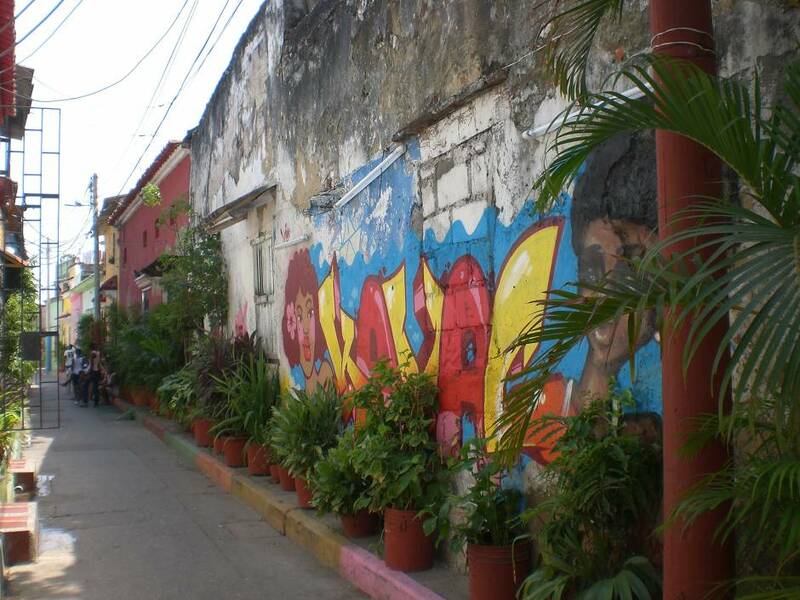 I didn’t have to work hard to find out what to do in Cartagena: just walk out of the door! I then saw people pulling chairs right outside their doors and sitting there to enjoy the cool(ish) air. Children would start playing football in the squares and Plaza Trinidad, the heart of neighbourhood, would become a football field, while everybody sit on the benches to have a chat and a drink, and street food vendors magically started appearing. 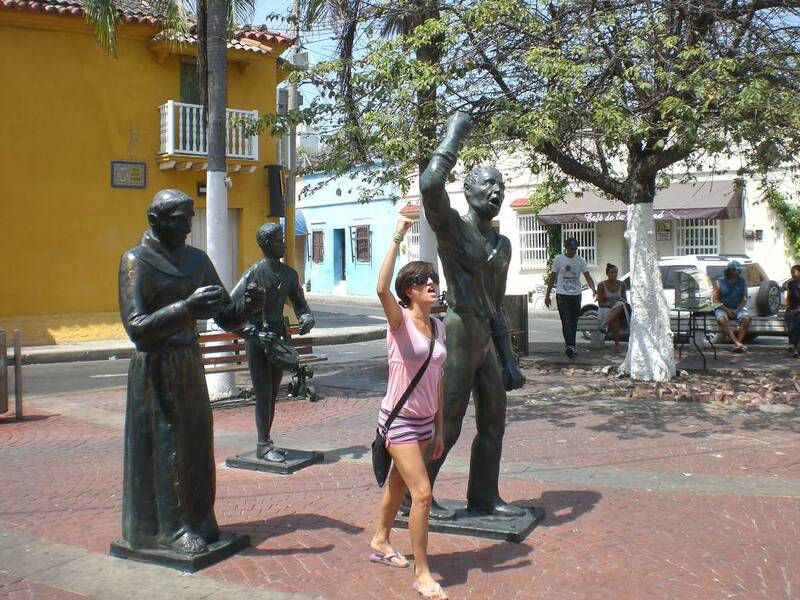 Chances are I would meet people who were glad to share their anedocts about Getsemaní. I met the former mayor just by chance, as I sat next to him in the square and said hello: he was up for a chat and eager to explain a lot about the history of the area. This is how I learned that Getsemaní used to be a brothels area in the past. I am a strong believer of getting the feel of a city rather than visit each single museum, church, square in it, although I know that there are so many things to do in Cartagena. It is in any case impossible to visit them all, there are so many. So, my budget tips for savvy travellers is to pick a few among the many places of interest. If interested in churches, I would enter them for free during mass, but I had make sure to wear appropriate clothes. Since I had a tight budget, I found that walking around is a free and great way to explore the city. That’s my favourite activity for sure. 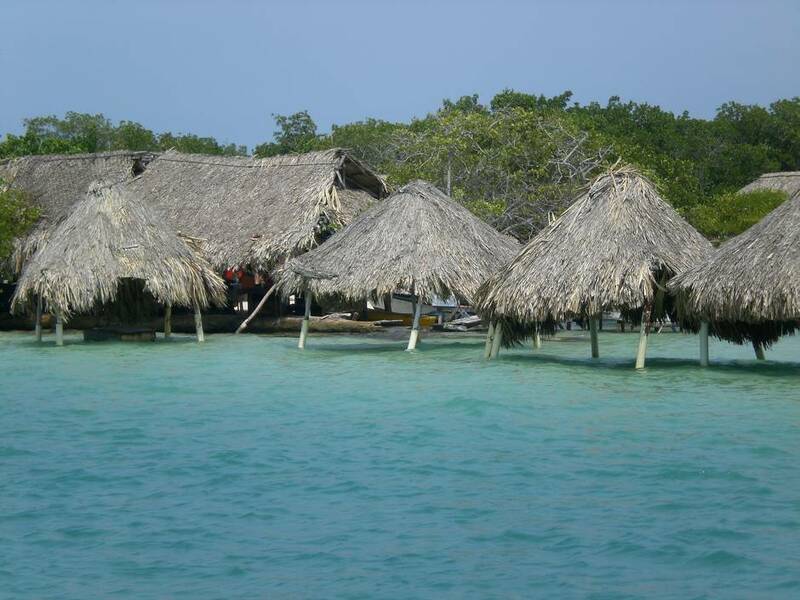 Visiting the archipelago of Islas del Rosario is one of the things to do in Cartagena. Located about 35 km south of Cartagena and consisting of 27 small islands – some of them so small that they only fit one single tiny house – it can be visited on a one day cruise leaving from the Muelle Turistico. This would normally start between 8 and 9 am and stop in many islands as well as in Playa Blanca, a long white sandy beach, before returning to Cartagena in the late afternoon. I would not miss it: the Caribbean waters are so clear and clean, the visibility so good, the coral reef so lively that I had to at least take a peek. Besides, here are some of the best beaches in Colombia. Tours can be arranged through the hostel, and it should cost no more than 20 dollars including lunch. Carrying snorkeling gear is a good idea, otherwise it can be rented for cheap on the spot. 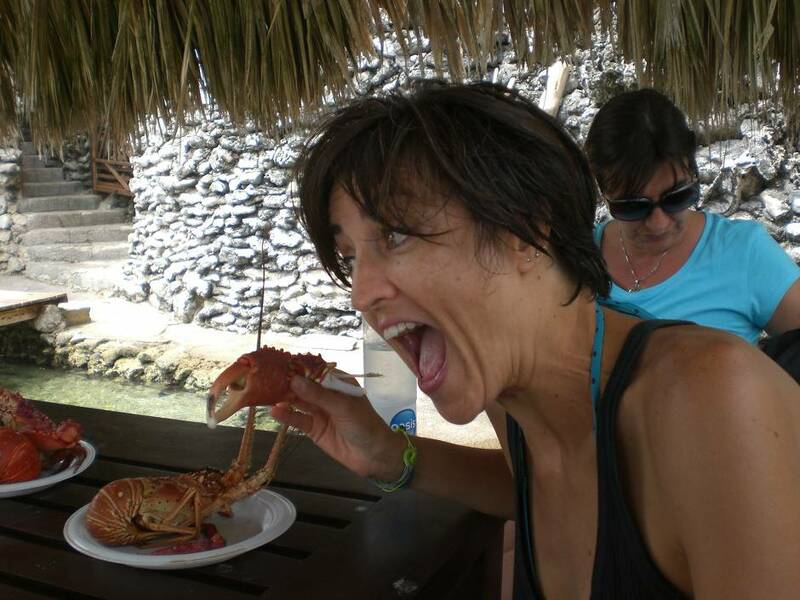 I was so lucky to be randomly invited on a private boat, so I also managed to skip the crowds and got a chance to enjoy the freshest and loveliest lobster and crab: local fishermen usually approach the boats with their catch of the day, and offer to cook it. 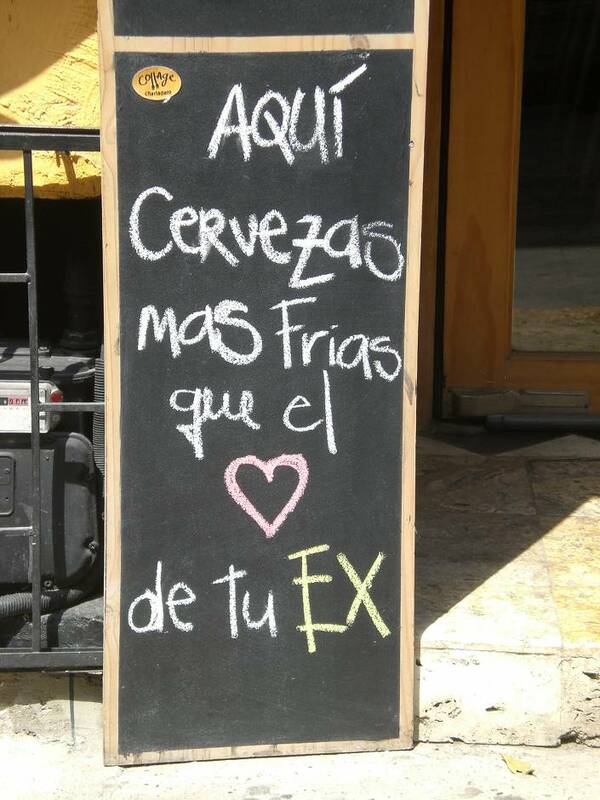 Cheap and delicious! I had to jump in! As one of the main tourist attractions in Colombia, Cartagena is inevitably more expensive than other places in the country. But since it is big and varied, there is something for any budget. Couples on a romantic getaway will enjoy boutique hotels. Younger and penniless crowds won’t have problems finding a good backpackers hostel. Just make sure to read the reviews before dropping by or committing to a room or a bed. I made the mistake of not doing it (what do you know, I am considered an experienced backpacker!) and ended up in the seemingly quiet Mama Waldy in Getsemaní. Pity it gets wild after dark, with parties and loud music until well after midnight, right in the common area where all (cramped and somewhat dirty and suffocating) rooms face, making sleeping almost impossible. Good food is easily available in the many local eateries and even from street stalls, with lots of options – from grilled meat and corn to arepas and amazing tropical fruit and fruit juices. By all means, no matter what the guide book may suggest, avoid pizzerias – they are sad businesses and the food taste like it comes straight out of a can or a box: no reason to spend a fortune to eat poorly when, for a few dollars, you can have much better and fresher food in the street. 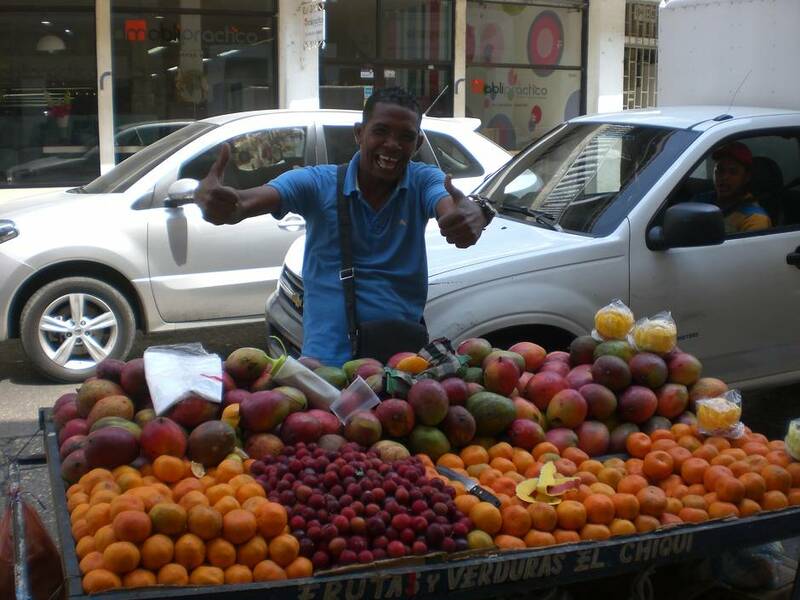 Things to do in Cartagena: try all the fresh fruit! For more things to do in Colombia, click here! Hi Claudia – love your post. Colombia has been on my bucket list for ages, but have not heard any nice things about its safety and that is why I am putting it off… I do believe it is not as bad as people talk – any thoughts? Thanks! I’ll be going to Cartagena in a few weeks and your concise guide is very much appreciated. Thanks. Yay! Se vuoi controlla anche il sito de La Globetrotter. E’ mia cara amica, è stata in Colombia 6 volte!